Every third Tuesday of the month, 7-9 a.m. Hear a quick recap of our monthly meetings – including key insights and observations – from our events' speakers on topics such as Finance, M&A, Tax, Crisis Management, Marketing and Talent Management. 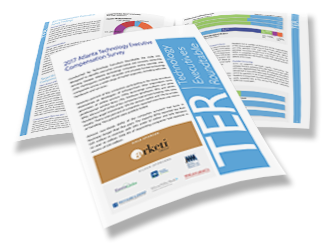 The only report focused specifically on salary and benefits of tech execs in Atlanta. Eight pages of charts and analysis. Exclusively for TER members.